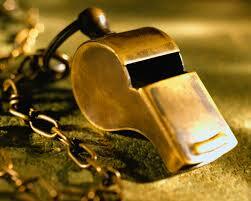 I am often asked by clients how they can qualify as a qui-tam (“key-TAMM”) whistleblower. Easy. Be the first to report an organization or person for cheating the government. Rewards can be huge. People who qualify as qui tam whistleblowers can be awarded up to 30% of the amount recovered by the government against the organization engaged in wrongdoing. In some cases that can amount to millions of dollars, far above anything . Many qui tam whistleblowers work in healthcare, where a hospital or medical group billed Medicare or Medicaid for tests not performed, procedures not needed. Other complaints involve private colleges, contractors, or state or local government agencies. Complying with qui tam procedures is complicated. Most qui tam complaints are made by current or former employees, although you do not have to be an employee to qualify. Health Care Fraud, including billing for goods or services not rendered, billing for goods or services not necessary, kickbacks, upcoding or overcharging, false reports of prices or costs, false reports of safety / efficacy of drugs or devices, quality (so bad that it is a failure of care), research grant diversion or misuse, drug or product switching, false certification of compliance with laws and/or regulations; hospice fraud; laboratory billing fraud; long-term care and skilled-nursing facilities fraud; home healthcare fraud; coding fraud; and medically unnecessary services. Pharmaceutical Fraud, including off-label marketing, violations of usual and customary charges, violations of prescriptions and and licensing requirements, and kickbacks; billing fraud; billing for goods or services not rendered, upcoding or overcharging, false reports of prices or costs, false reports of safety / efficacy of drugs or devices, quality (so bad that it is a failure of care), drug or product switching, false certification of compliance with laws and/or regulations. Contractor Fraud, including construction, environmental cleanup or repair fraud; testing and quality assurance violations, bribery, bid-rigging, public-works fraud; grant and research fraud. Billing for goods or services not rendered, false reports of prices or costs, and false certification of compliance with laws and/or regulations. Educational Fraud, including vocational-school fraud, fraud in the providing of equipment to schools, and research and grant fraud. Tax Fraud, which may not be covered by the federal False Claims Act but is likely covered by other laws. 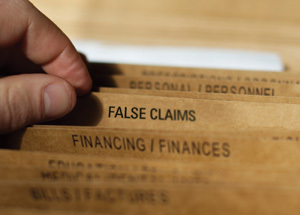 Both Florida and Georgia have their own false-claims act. Tax-fraud-related claims may arise from employers who falsely understate their income, who falsely report employees as “independent contractors,” and who claim deductions of any kind for which they are not entitled, including losses.